First, I created a Visio Cross-Functional Flowchart document that was saved into a Visio Process Library in SharePoint 2013 online. Note that it could be in any document library which has versioning enabled, and it does not need to be this particular diagram type. 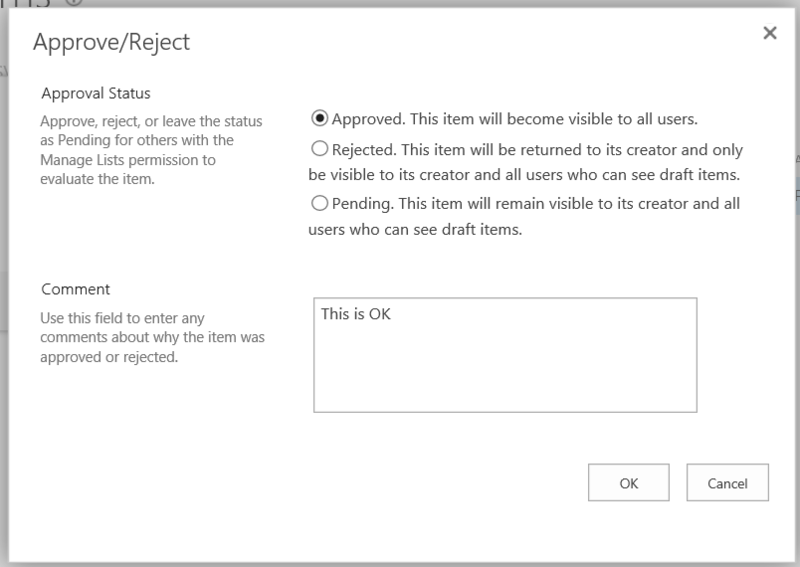 The initial Approval Status is Draft, and the Title column is hidden in this view of the list. I switched off some of the columns with the Column Settings dialog. Note that I later realised that I should have checked the Data Type of the Name column because I did not really want it to be automatically creating a hyperlink. I then linked the row from the External Data window to the border shape of my cross-functional flowchart. 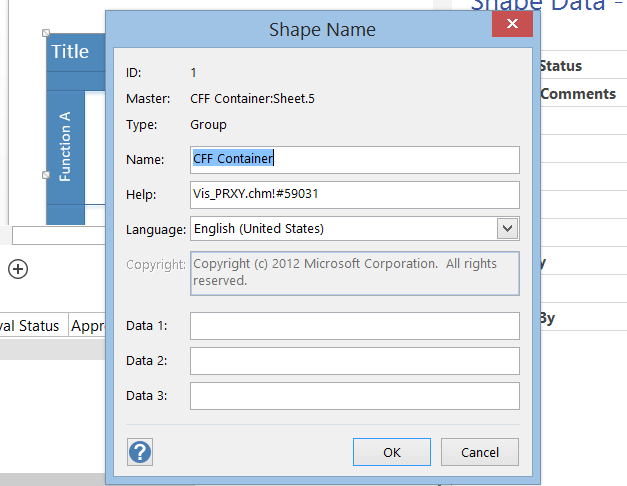 It could, of course, have been any other Visio shape, but this seemed suitable for this purpose. 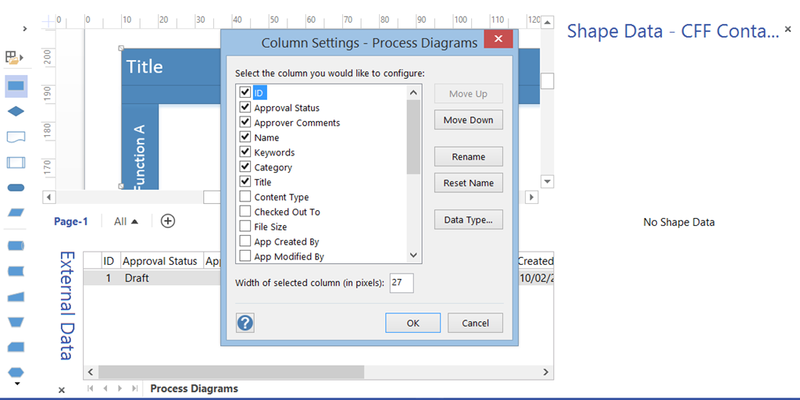 This linking causes the columns from the External Data window to become Shape Data rows on the shape. I then thought it would be simple to link the Title column from the library to replace the Title text in the border shape. 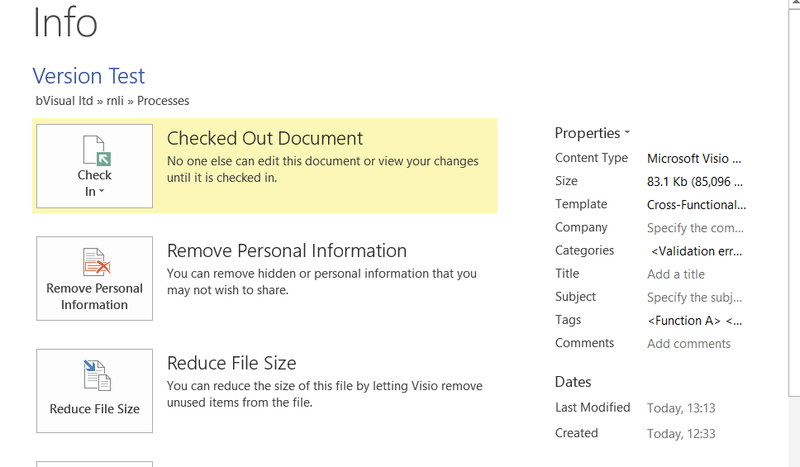 Therefore I added some text into the Title field on SharePoint. 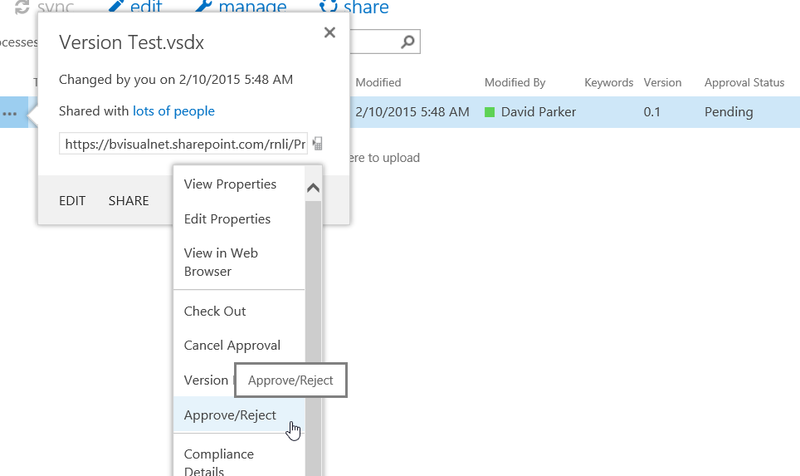 I then modified the view settings to display the Title column in SharePoint. In fact, I had to modify all of the template views. 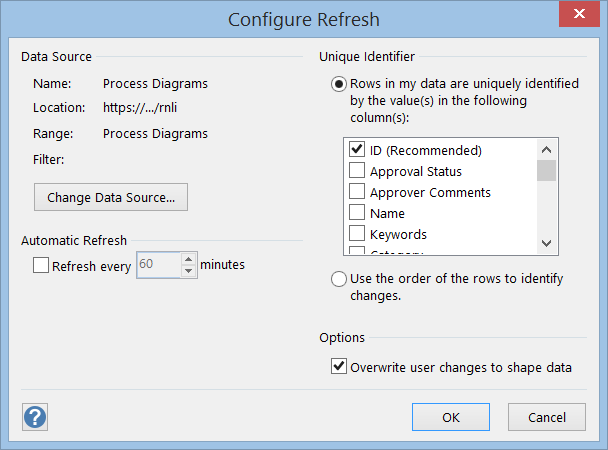 In Visio, I ensured that the option to Overwrite user changes to shape data was ticked. I then wanted to replace the Title text in the border shape, but I realised that the actual text was in a sub-shape of the group, so I checked the ID of the group shape that contains the Shape Data with the DEVELOPER \ Shape Name button. 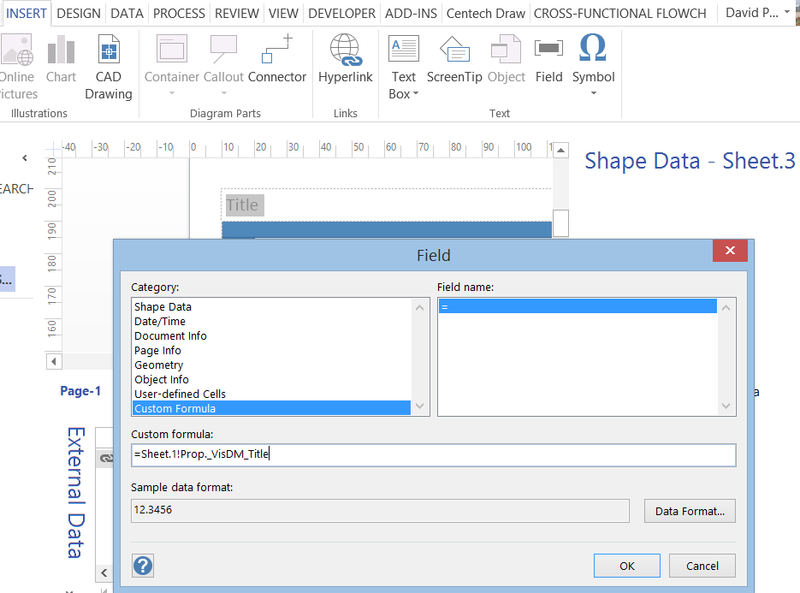 Knowing the ID of the group shape meant that I could use INSERT \ Field with a Custom Formula ( = Sheet.1!Prop._VisDM_Title ) to replace Title with data linked text. 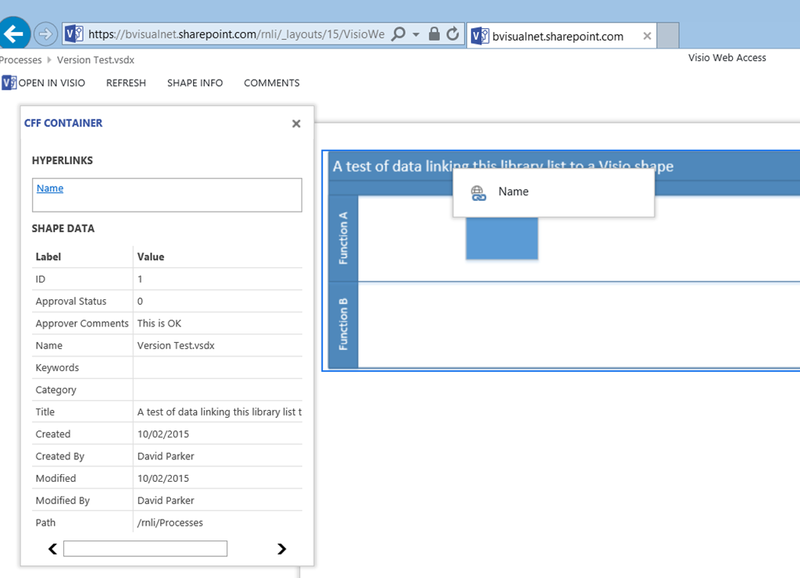 So, the text is now going to be automatically refreshed from the SharePoint document library list column value. I then checked the document back into SharePoint. This action then requested that I decide on the version and to enter any optional comments. So, I then had to decide whether to Approve or Reject my own changes. 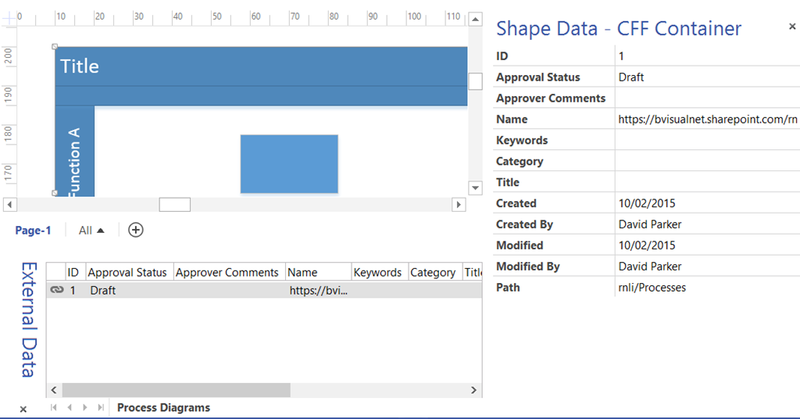 The Shape Info pane in the Visio Web Access web-part in a SharePoint web page automatically updated with the latest values. 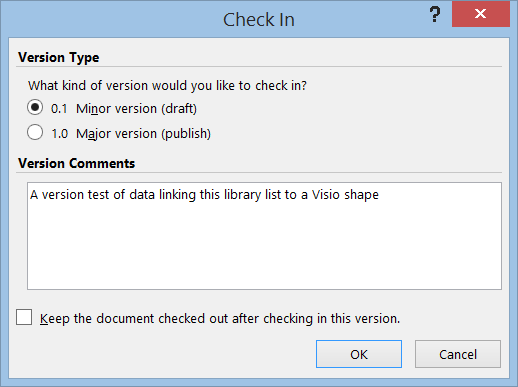 However, this methodology means that I can now reflect the Visio documents version, status, etc., as text and/or graphics within the Visio document itself. This is very useful for version control, and for including on any prints that may also be created. 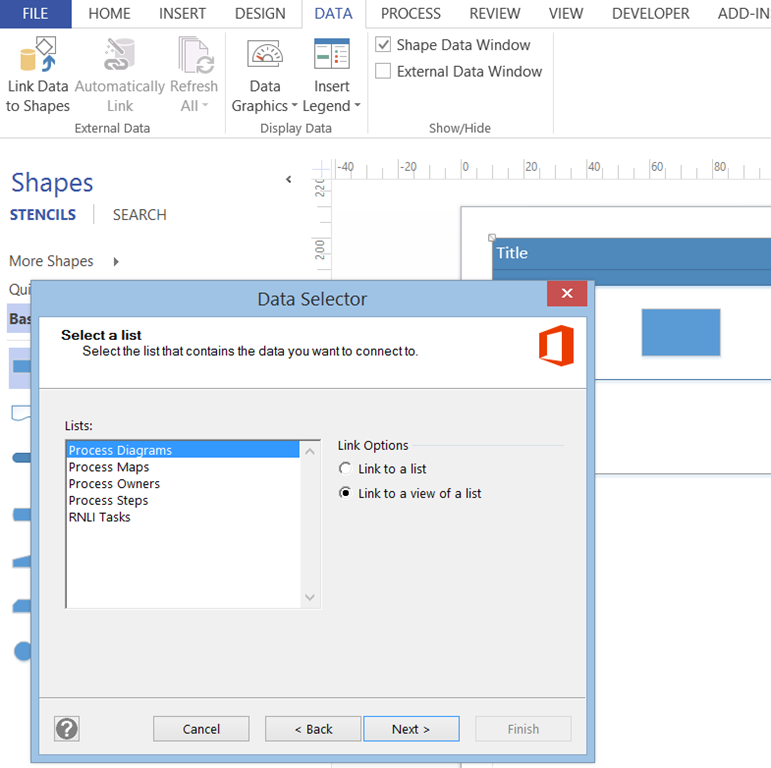 « Visio for Mac ? Well, not really ….